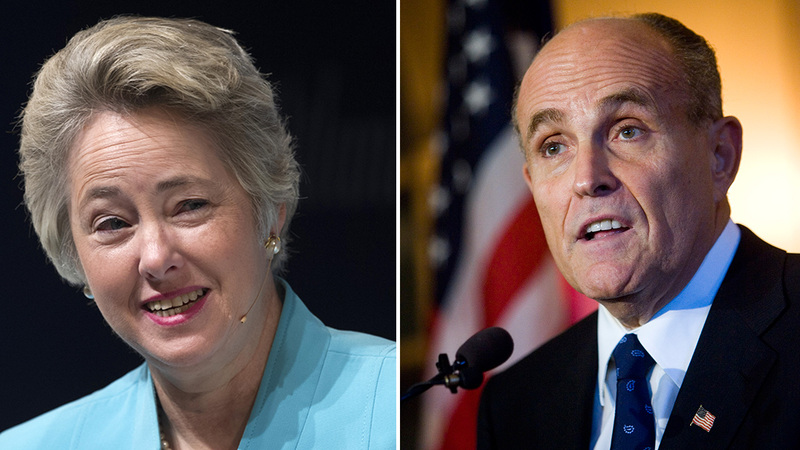 Houston Mayor Annise Parker: Giuliani an "embarrassment"
HOUSTON (KTRK) -- Houston Mayor Annise Parker responded to the controversy surrounding former New York Mayor Rudy Giuliani's remarks about President Obama on Twitter today, calling the Republican "an embarrassment." Parker's comments come after Giuliani said, according to Politico, "I do not believe, and I know this is a horrible thing to say, but I do not believe that the president loves America." He continued, "He doesn't love you. And he doesn't love me. He wasn't brought up the way you were brought up and I was brought up, through love of this country." Giuliani's comments were made at a private dinner in New York City on Wednesday. White House Press Secretary Josh Earnest said he feels "sorry" for the former New York mayor. He added, "It's sad to see when somebody who's attained a certain level of public stature and even admiration tarnishes that legacy so thoroughly."